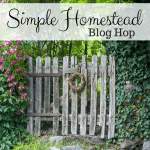 Welcome to the Simple Homestead Blog Hop #200! Can you believe it? We’re at 200 hops! Happy Spring, y’all! The Simple Homestead Blog Hop #200 runs every Thursday morning to Sunday evening, so spread the word and spread the love. Share your best material and check out someone else’s best material, too (maybe leave a comment letting them know you found them here at the hop!). Be sure to follow your hosts to let them know you’re here, as well! Personally, I love to use blog hops as a source of pinning material for Pinterest. I find a few posts that I really love and pin away! We have a lot of really wonderful things going on and we want to tell you about it! Our very own host, Dash, is one of the speakers at the Home Grown Food Summit! This is HUGE! Dash will be giving 2 of the 36 presentations during the Home Grown Food Summit. She’ll be talking about “Beginners Guide to Bee Keeping” and “Free Chicken Feed: 3 DIY Systems For Growing Insects For Your Girls”, you won’t want to miss it. ALSO HAPPENING THIS WEEK!! Beginning today and going through 3/31 our fearless, wonderful leader, Kathi, is giving away her BRAND NEW eBOOK called “How to Grow Vegetables and Herbs in a Shady Garden” as part of the Spring Garden Giveaway. It’s all FREE resources from 25 homestead bloggers. 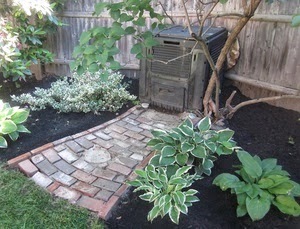 Readers go to the home page http://gardenbundle.net to sign up. You’ll be sent an email with all of the resources listed (ebooks, cheat sheets, a seed spacing guide, discount on seeds and much more). You’ll be able to go download any or all of the free resources from the various bloggers!